Cloudy. Slight chance of a rain shower. High 67F. Winds NNE at 5 to 10 mph..
Showers in the evening, then partly cloudy overnight. Low 47F. Winds NNW at 15 to 25 mph. Chance of rain 60%. 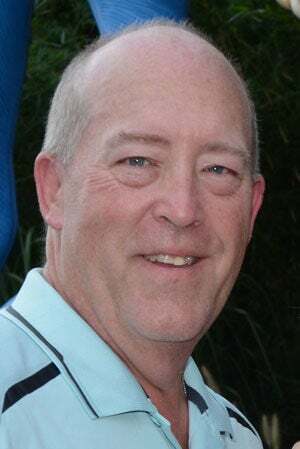 Michael J. Wildman, 58, of Monticello, passed away Monday evening, April 1, 2019 at Kirby Medical Center, Monticello. Mike was born June 17, 1960 in Decatur, IL the son of Roger L. and Phyllis (Huffmaster) Wildman. He married Dawn Vannice in August of 1982 and she passed away in November of 1988. He married Ann Power on June 16, 1990 at Holy Cross Catholic Church in Champaign, IL. Mike is survived by his wife, Ann Power Wildman of Monticello, formerly of Franklin Grove; children, Patrick of Springfield, Katherine and Brandon both of Monticello; mother, Phyllis Wildman of Sullivan; and brother, Chris Wildman of Dalton City. He was preceded in death by his father and grandparents. Mike was a 1978 graduate of Sullivan High School where he participated in golf, baseball, football, and basketball. His senior year he participated in the IHSA State basketball tournament in Champaign. He is a 1982 graduate of Purdue University. Mike was a department head for The Home Depot and was elected Monticello Township Supervisor. He was a member of the NRA, Purdue Alumni Association, Piatt County Republican Party, and a parishioner at St. Philomena Catholic Church of Monticello. He enjoyed golfing, building models, watching old Westerns, and was an Illini Fan along with being a sports fan and a history buff. He coached all his children in youth sports and enjoyed watching them grow in whatever they did. Mike was a wonderful and loyal person, husband, father, son, brother, boss, and friend. A visitation will be held from 9:00-11:00 a.m., Friday, April 5, 2019 at the Mackey-Wright Funeral Home, Monticello. Funeral service will be held at 11:00 a.m., Friday, April 5, 2019 at the Mackey-Wright Funeral Home with Fr. Bruce Lopez officiating. Interment with cremation rites will be held in Monticello Township Cemetery at a later date. Memorials may be made to the Monticello Area Education Foundation.